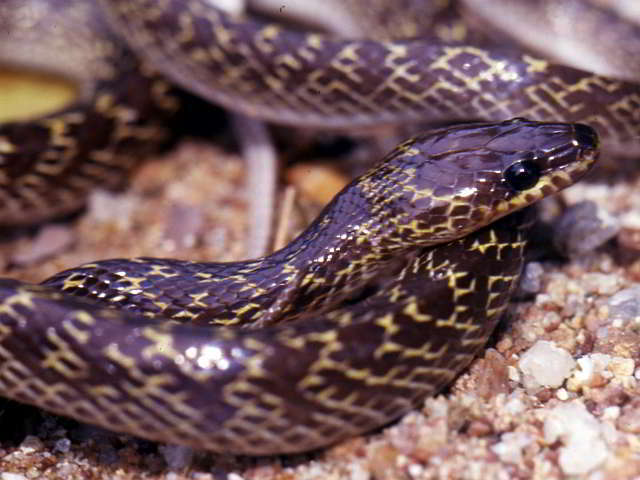 Behaviour: A nocturnal snake, which is also often found in human dwellings on the hunt for geckos and mice. In all of Thailand, usually in the hill and mountain country, also in the proximity of settlements. Evening and night-active animals, which mostly are at the soil. Not very aggressively. Bites nevertheless with annoyance. 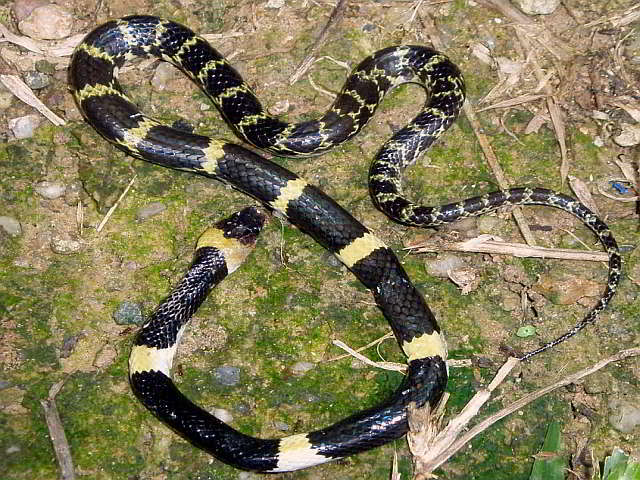 ● Bungarus fasciatus (Krait) venomous!